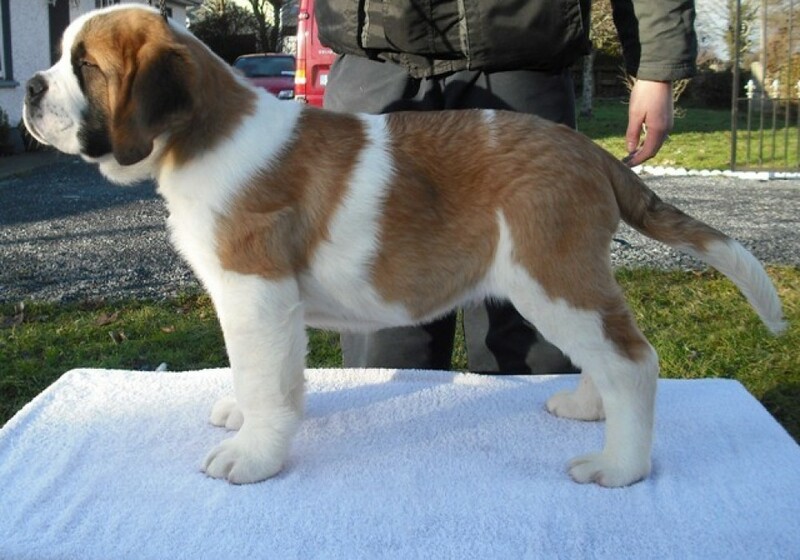 Anubus is a large powerful smooth boy from our A Litter and from the time he was born we knew that he was extremely special. 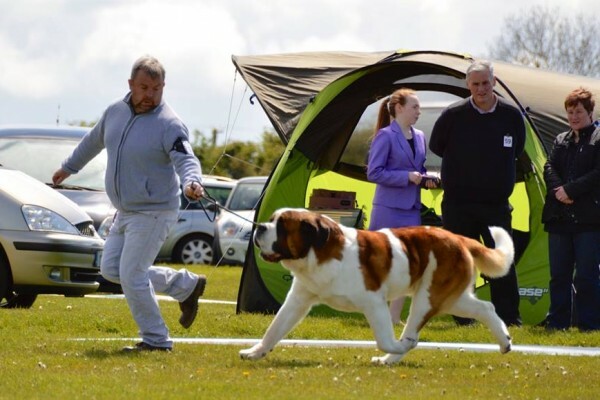 He has extremely powerful movement with the most beautiful temperament. 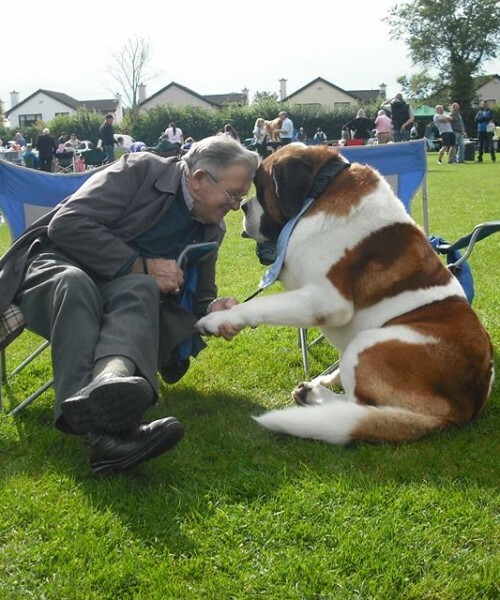 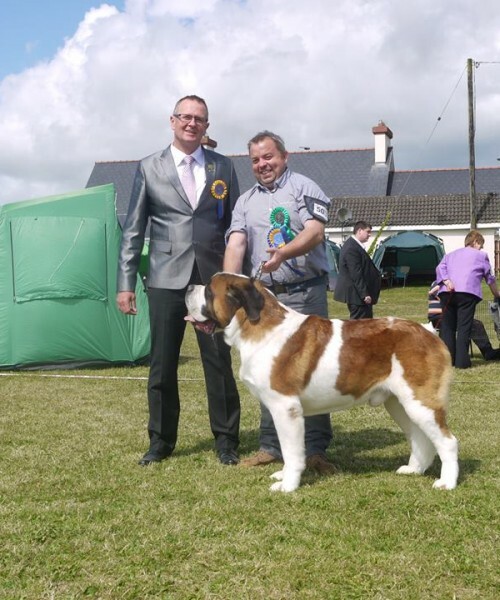 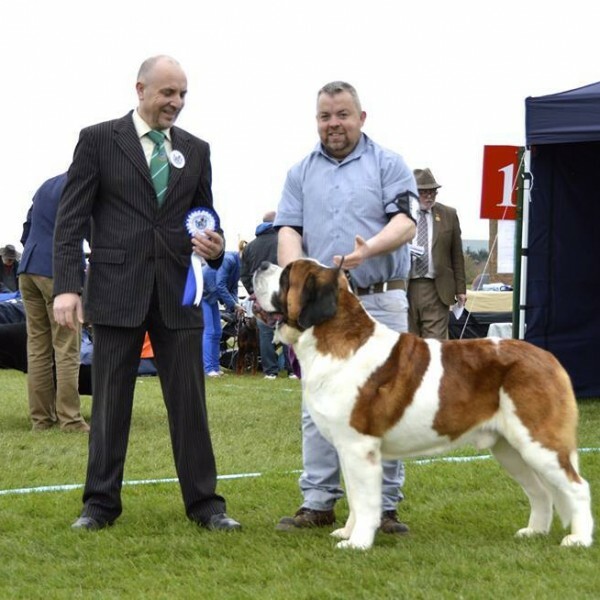 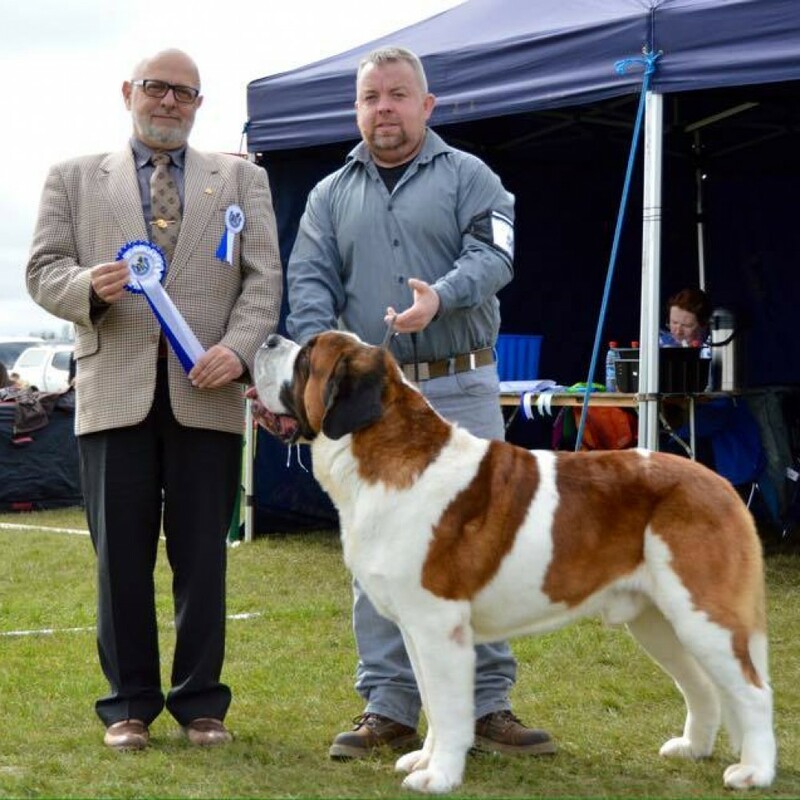 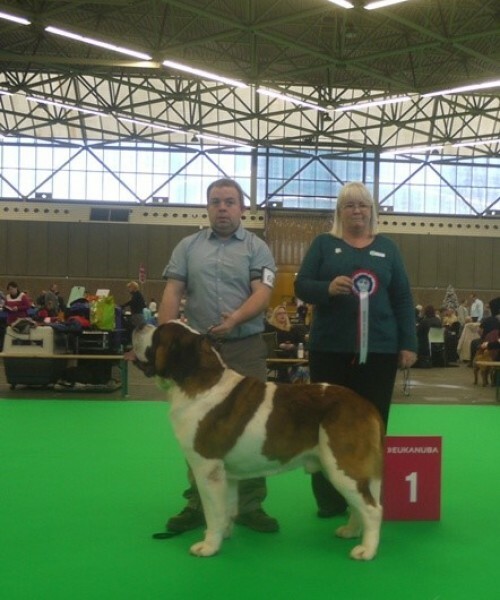 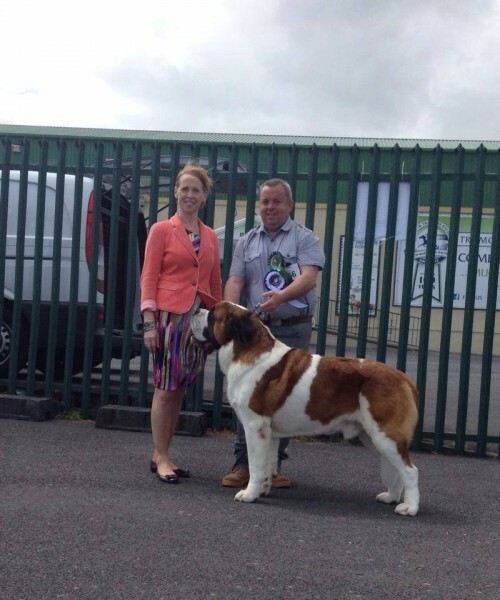 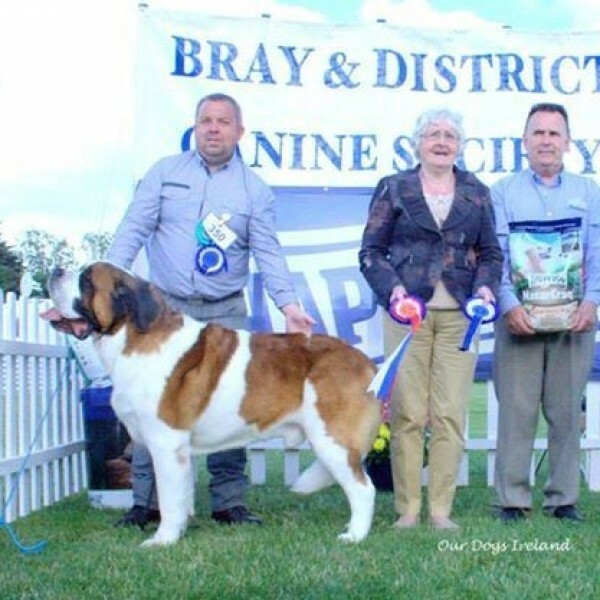 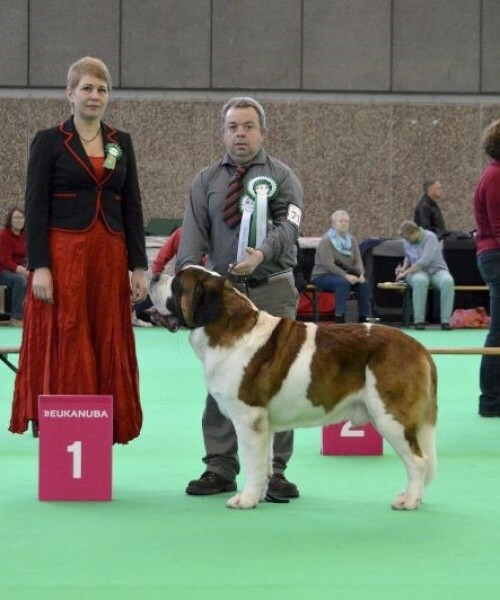 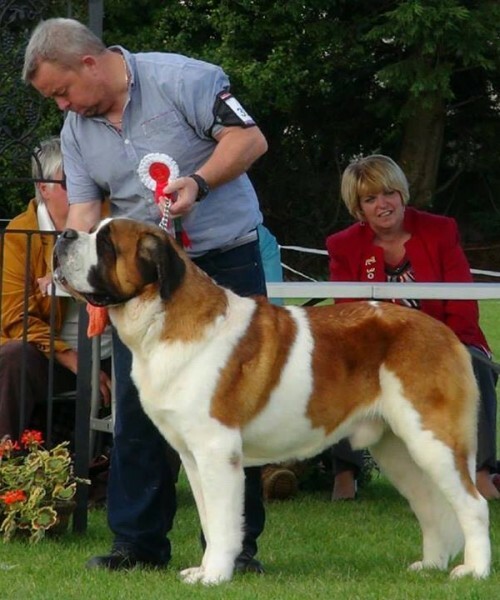 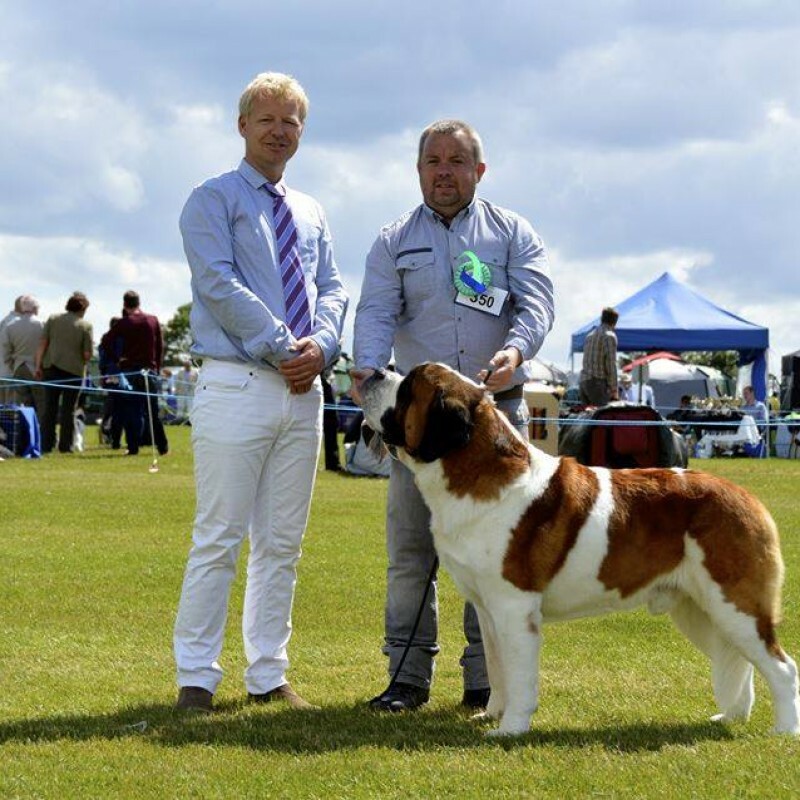 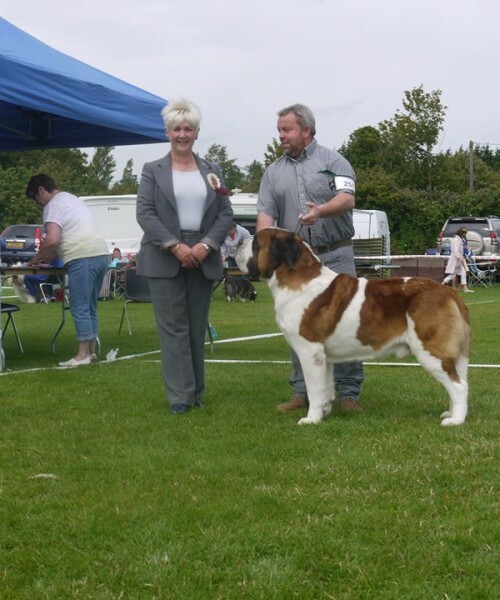 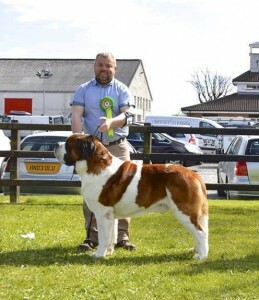 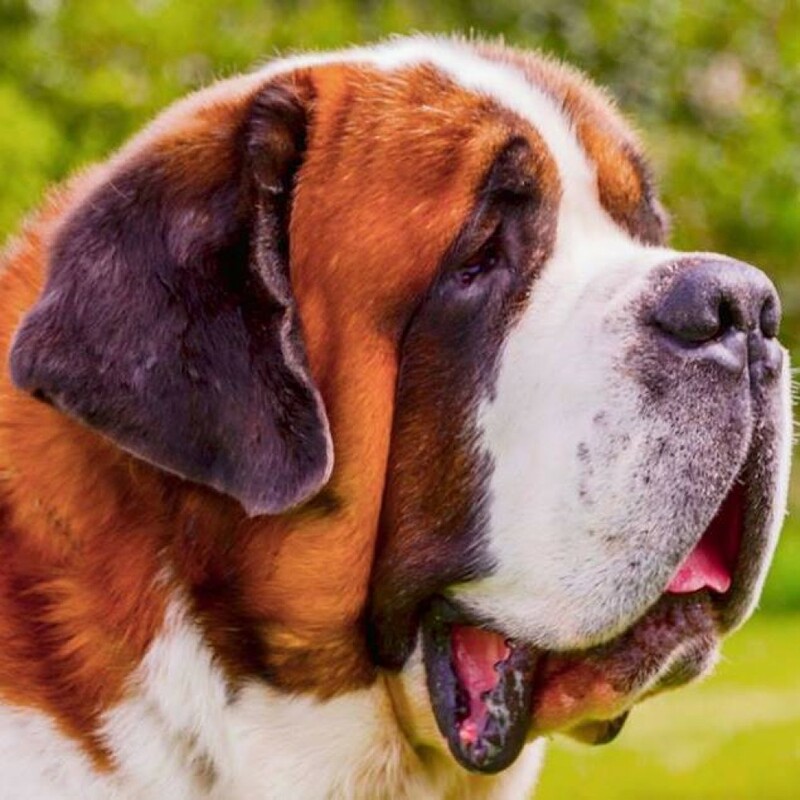 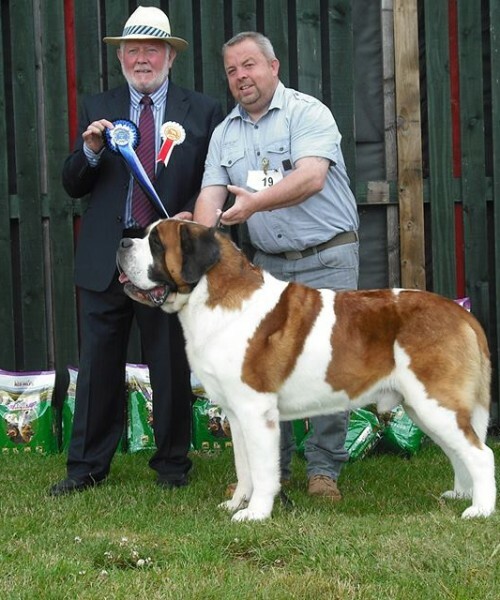 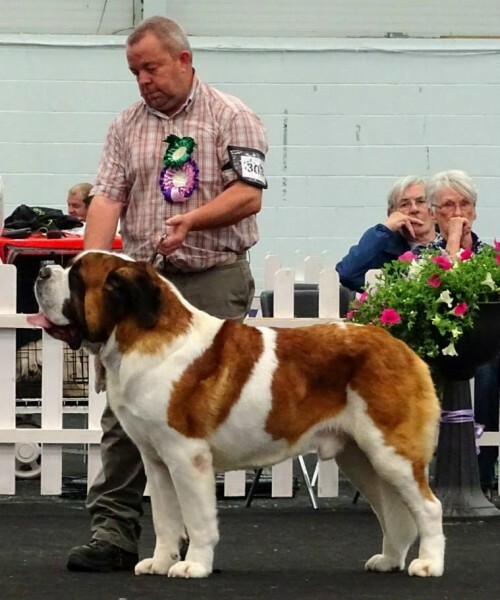 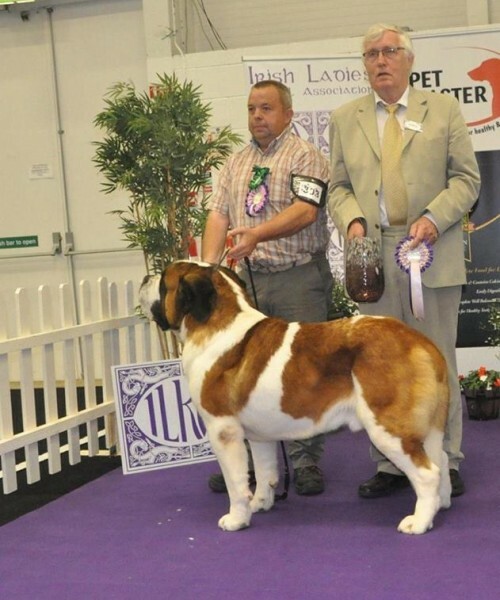 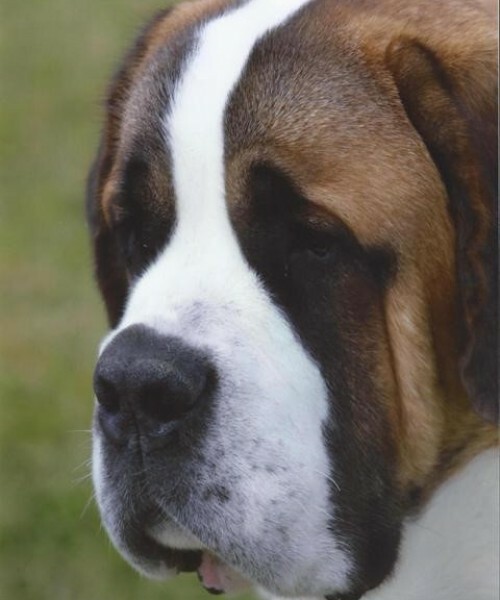 Anubus started his show career in baby puppy when he was just four months old and has since become Ireland’s Top Winning Saint Bernard for two years running with over 60 Green Stars and Best of Breeds to his name, Anubus also has 2 group wins , the first one making him the first ever short haired to win a group in Ireland under FCI and a group 3. 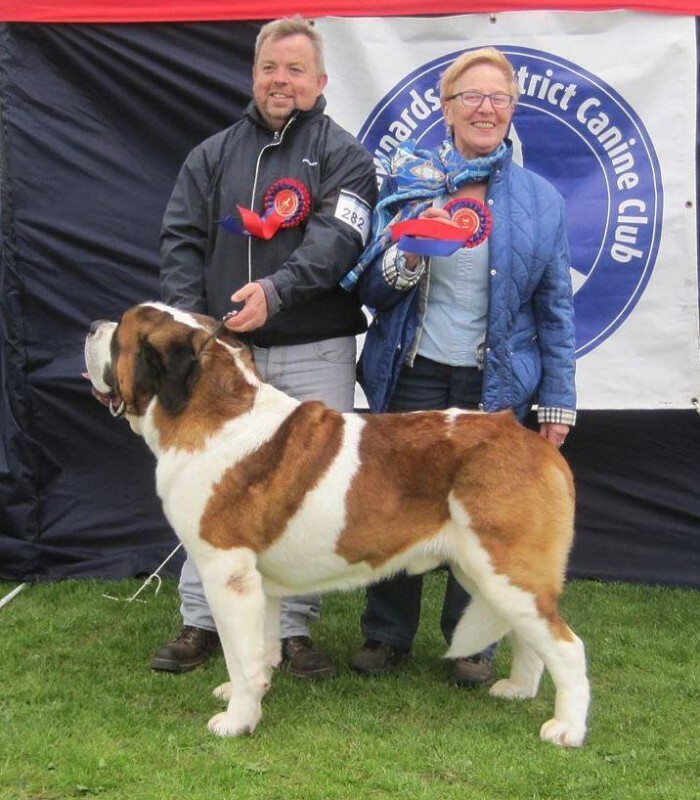 We brought Anubus to Amsterdam in 2014 and he won CAC, CACIB and Best of Breed both days in The Holland Cup and The Amsterdam Winners show leaving him with just 1 more CAC for his Dutch Championship Title. 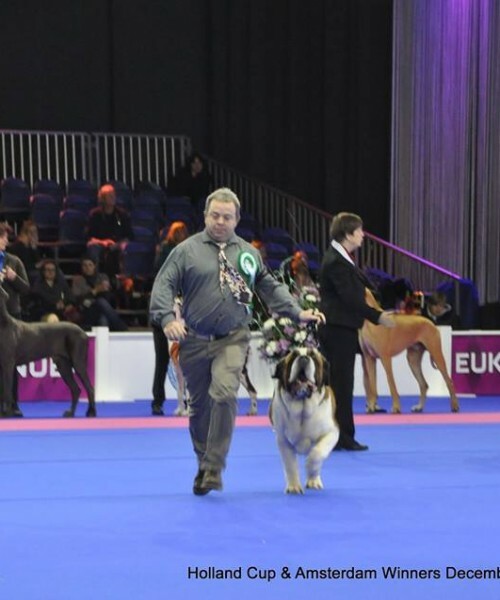 Anubus is also listed on the Top Leaderboard for show dogs in Ireland. 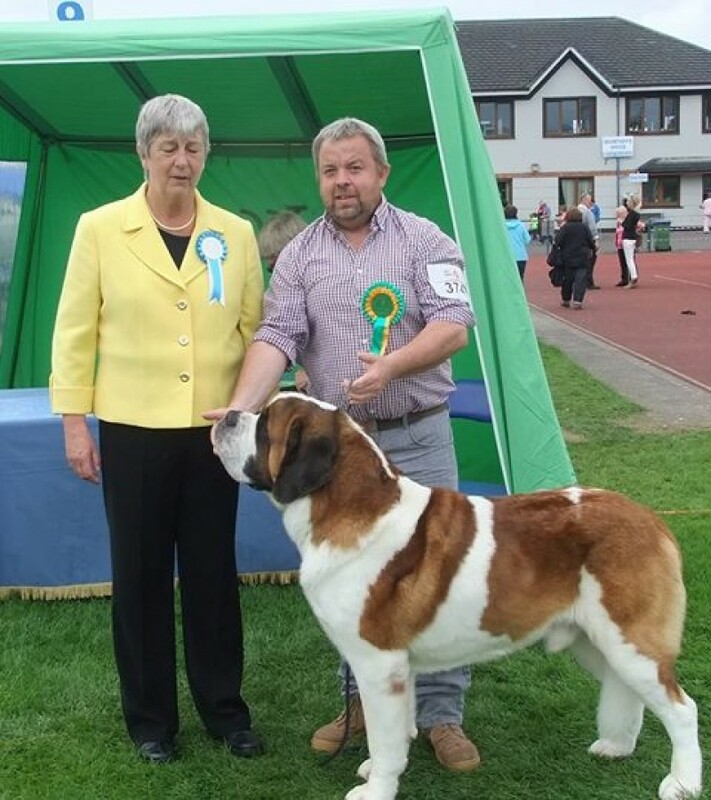 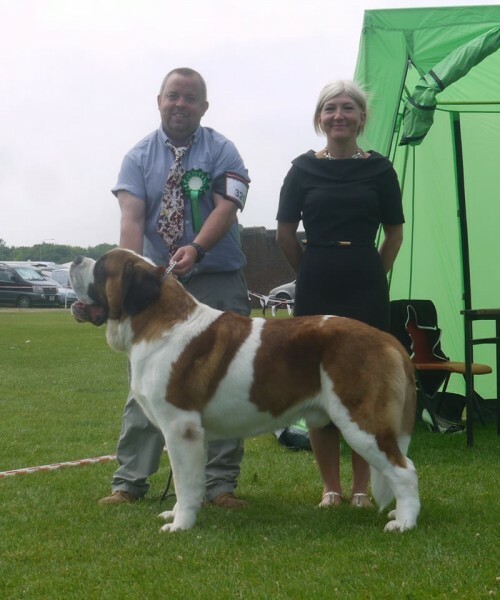 Anubus picture with the Judge Ms. Sinead Taggart after winning Green Star and Best Of Breed. 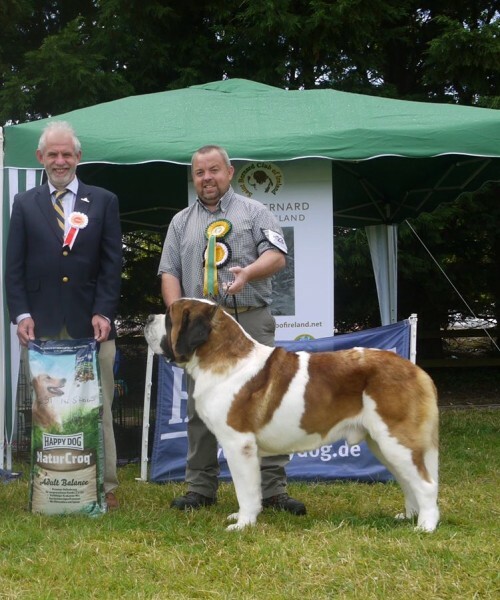 Anubus picture with the Judge Ms. Ann Ingrim after winning Green Star and Best Of Breed.